Geared motor | damping motor | AC Motor | brushless motors | right angle motors | brake motors - Cixi Feiteng Motor Co. Ltd.
Cixi Feiteng Motor Co., which actively developed since the establishment of small motors and gear research, and in the meantime uphold customer-oriented concept of quality first as the driving force, and constantly improve the intentions of the expansion of various technologies, learn from the industry's small motors and the essence of the gearhead, expand the product portfolio in line with industry expectations of the series, we began to reform the product market demand, we insist on quality from the customer support. We will continue to soar upward in technology constantly, constantly on the commodity pluralistic expansion, depending on the mission for the best market feedback. 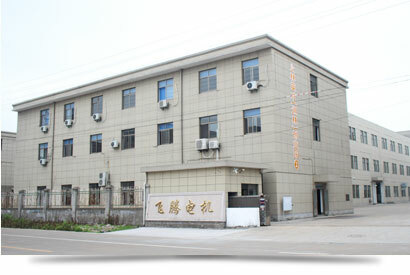 The current products are: induction motor, stepper motor, reversible motors, brake motors, variable speed motors, brake motor speed, torque motors, DC brush motors, brushless DC motors, bevel helical geared motors and speed controllers; widely It applied to machine tools, textile machinery, transportation machinery, printing machinery, food machinery, packaging machinery, vending machine, installed plastic, computerized flat knitting machines, automatic table, office equipment, medical equipment, solar power and other inductive fields. To create a first-class transmission products, the introduction of advanced equipment, such as multi-axis linkage machining center, CNC efficient roll gear, gear measurement center and other advanced equipment, and fully guarantee the gear machining accuracy. The pursuit of excellence, reputation-based, total customer growth is the purpose of our development. Sophisticated equipment, advanced technology, scientific management and modern means of detection, dedication and sincere cooperation with the new and old customers and overseas customers, and seek common development! Professor Mao Qiande, Beijing Institute of Technology School of mechanical and Vehicular Engineering; Professor Liu Yaoyi, Beijing Institute of Technology Institute of science and technology. Early in the design of the transmission device, a large number of operating parameters must be considered in the design and determine the size, power and position relationship between geometric boundary and ratio data and many other parameters are to be determined. In determining the size of the reducer shaft, the torque transmitted, the bending stress and the transverse force, taking into account the stress concentration in the dangerous area, all play a decisive role in the calculation. For rolling bearings calculation, dimensioning should be included in the application requirements of life predetermined value and space constraints. Now, the transmission technology components, such as gear reducer, require light weight, reducer structure is firm, high power density, reducer components long life. From the reducer reducer series of single production to a large number of requirements in the planning stage, a precise evaluation of individual system components, these components must be installed on the conditions and different operating conditions without failure to work. In the development phase, this type of complex system is increasingly studied by means of digital simulation. Save time and cost by dynamic simulation during new development or optimization. Clarify the problems raised (resonance, shaft or box fracture, noise, etc.). Determine the optimal parameters related to predetermined limit indices (such as energy consumption, stiffness, limit speed, structural space, noise radiation, etc.). In order to meet the increasing market demand, in recent years, SKF software has been developed and a lot of work, especially pay attention to the development of both rolling bearing for development, and for the system description model and emulation software. One of the software packages developed by SKF for modeling and Simulation of complex systems is the Orpheus program, which is the most comprehensive approximation to the actual operating conditions of the modeling and simulation program. With this software package, the static and dynamic performance of the whole part or machine (such as gear, axle box and rolling bearings) can be calculated. In order to provide the professional knowledge and technical ability of SKF engineers to all users, a business unit has been established to provide computing services for SKF users in the name of "SKF engineering consulting service". The emphasis of service is the analysis modeling and static and dynamic performance simulation of Engineering application. The application scope of the priority is cylindrical gear reducer and planetary reducer, compressor, pump, motor or the drive circuit, in their problems, defects in the deformation analysis of noise and vibration or performance, or in order to optimize the system, can very accurately study. The prototype of 218K reducer is taken as an example to illustrate the design process of the 18K reducer prototype which was optimized by different departments of SKF company in 2003 Hannover industrial exposition. 18K reducer scheme is based on a prototype of 280 straight teeth reducer, after detailed modeling and analysis of the corresponding construction, and at the same speed and power data, the center distance is reduced to 250mm. in order to make all of the components and the power density of the new match, and reached the requirements of the system of life more than 5000h, it is necessary to single parts of reducer re calculation. In addition to the new and higher bearing capacity of the SKF bearing, that is, the average number of bearing increases by 15% flexibility characteristics, deformation characteristics and component load digital simulation, the reducer is analyzed. In the modeling, all parts, shafts, engaged bearings and single gear meshing are taken into account. The difficulty in modeling is the detailed description of rolling bearings, considering the preload, bearing clearance, temperature difference and other operating parameters and deflection. Manufacturing deviations (such as assembly or orientation errors, roundness of bearing combinations), although modeled in principle, are not considered in the study. The 3D model of the box can be built very quickly by the original box design. The model is input to the commercial finite element software "ANSYS*" program, which is inserted into a single node (the outer end of the rolling bearing) and is connected into the box grid. The grid structure has a lot of general data, which is often not suitable for practical analysis because of the too long processing time. Therefore, in order to further processing box structure, using a method called CMS (component modal synthesis) smart compression technology, which significantly reduces the number of degrees of freedom l2J. in this method, deformation field by the shape function of the corresponding description, select the shape function should make them satisfy the boundary condition.